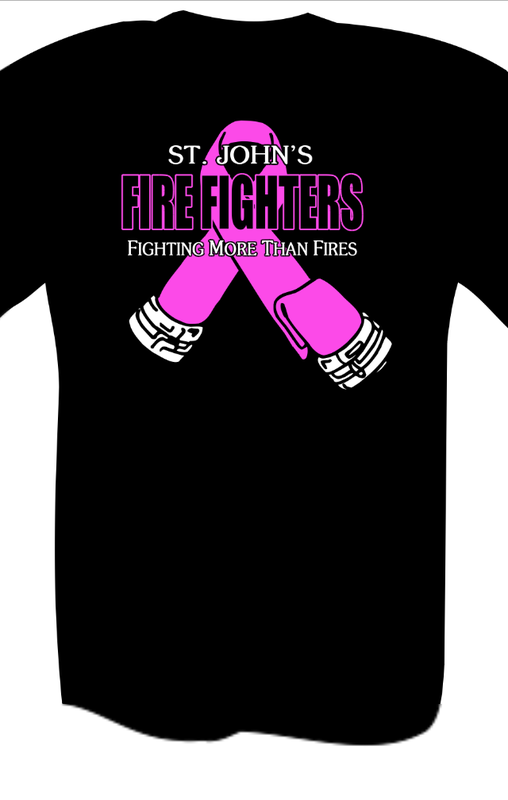 Members of the St. John’s Fire Fighters Association will be at the Avalon Mall this Saturday October 17th from 1 to 5 PM. Please come out and visit us and make a contribution to the Canadian Breast Cancer Foundation. Anyone who makes a 20 dollar donation will get one of our new special T-shirts created especially for this event.